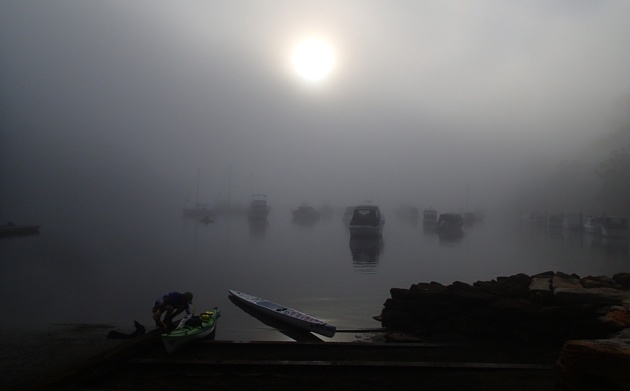 I received an email recently from a paddling colleague showing off some photos from a recent adventure, and a quirky closing statement that went something along the lines of “I and many others hope and trust you are still out there paddling somewhere, despite your apparent disappearance…”. It summed up what some of my closer paddling friends had also been thinking, had the Fat Paddler indeed given up on his weekly adventures? The fact of the matter is that I had burnt out. In an attempt to get fit and fast on my ski, I trained harder than ever before, hitting the water at 4.30am 5-6 days a week and training on the weights 5 days a week as well. I dropped 14 kilos and became lethargic, tired and grumpy. I needed sleep, rest and a little less physical activity. Of course my friends thought I’d drop the weights and stick to the paddling, but a funny thing had happened. I was enjoying the weight training so much that I decided to stick to that and drop the paddling hours back instead. Six days a week became three days and then one day, until finally some weeks not at all. My weight training increased in intensity, with heavier loads and longer training periods providing all the exercise I could handle. 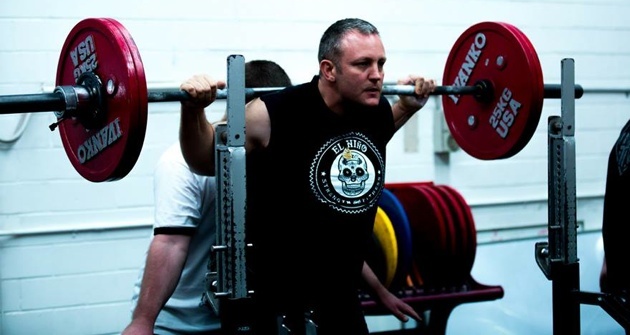 After a few months of this one my training mates suggested I try the sport of Powerlifting, a competitive weightlifting sport combining three lifts (squats, bench press and deadlifts). With my injury history and general physical weakness this didn’t really feel like something I could do, but a novice comp several weeks later offered the opportunity to give it a go. I kept up the weight training and paddled less as my preparation for the competition took over. Of course a few injuries did crop up, with a particularly nasty case of bursitis causing me considerable hip pain in the weeks leading into the comp. The doctors assured me it was nothing serious and that with rest it would go away (yeah right, as if I could rest! ), but my recovery was slow and by the time the novice competition came around I was still suffering quite a bit. Still, what’s pain anyway?? On to comp I went. 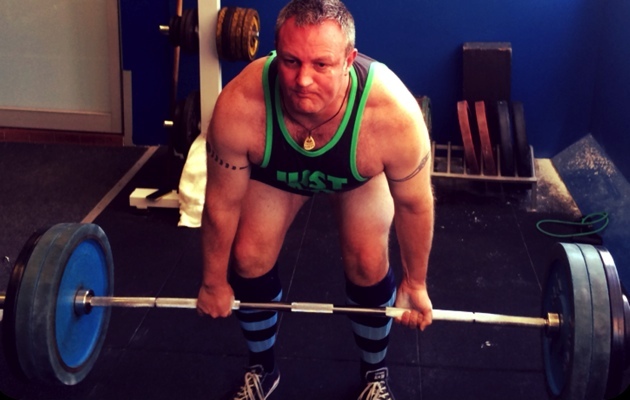 Powerlifting as a competitive sport is pretty intimidating, as I was to find out. 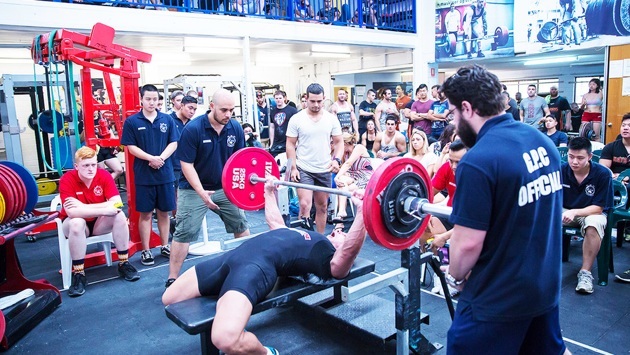 The venue, PTC Sydney (a powerlifting gym in Sydney’s west) is pretty much one smallish square filled with very serious strength equipment, very strong people, and loud thumping death-metal pumping out across the space. There’s no Fitness First style lyrca and house music here – beards, tattoos and lifting chalk are much more prevalent. The lifters look serious, the weigh-in and and registration business-like and the warm-ups in the squat-racks are heavy. Once the first lifter steps up on the platform to begin, the atmosphere changes. The whole room gets behind each competitor, cheering and screaming for them to get the lift. It doesn’t matter what the weight is or who is competing, every lifter in the room knows that for that person at that moment in time, they are pushing themselves to the limit of their own abilities. Everyone knows that the lifters are largely competing with themselves to lift more than ever before, and regardless of whether that makes them competitive or not, the toll on their bodies, nervous systems and emotions is enormous. Other lifters understand how much training must be done beforehand, how much sweat has been spilled and how much guts it takes to get up in front of others to lift their best. In all the sports I’ve played over the years, I’ve never participated in one that shows such enormous levels of mutual support and respect. Over a very long day of competition that took an enormous toll on my body, I met wonderful folks from all walks of life who screamed for me to lift more than I’ve ever lifted before, and patted me on the back afterwards for an effort that, whilst massive for me, wasn’t anywhere near competitive on the day. It was enough to cement my love for the sport, to ensure I’d train harder and make a return to the competitive platform. 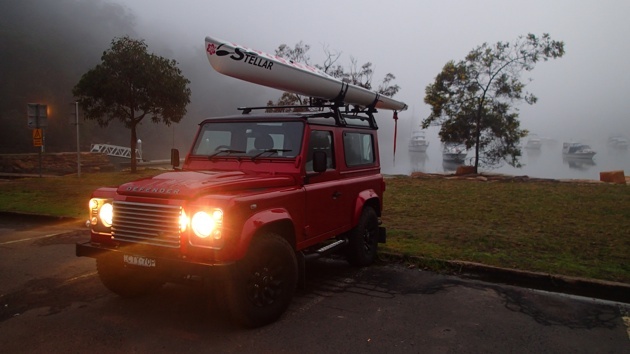 My new-found passion for powerlifting doesn’t mean I’ve given up on paddling though. With the weather improving and some surf returning, I’ve managed to get back out onto the water with good friends and re-new my love for the sea and the joys of riding my surfski. In fact if anything I can see my powerlifting training making me stronger and my surfski paddling making me fitter, happier and ultimately healthier. A special shout-out to Mark Niño of El Niño Strength & Fitness for all his coaching and strength programming this year. He’s taken me from a weak part-crippled old man to a much stronger part-crippled old man, and for that I’m truly thankful. If you’re looking to get stronger, leaner or bigger, he’s your man. I’ve read your book & can relate to some of your life’s challengers. I’m 52 with a couple of recent unexpected health issues too & am looking to get more serious about my fitness other than at the gym. I recently brought a quickish kayak by Elliot, which I’m still getting use to paddling properly. 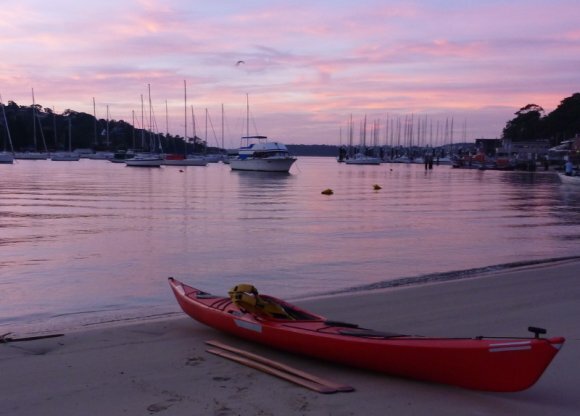 I’m a local from Mount Colah looking to do some more paddling now summers here in addition to my usual seakayak weekend trip on our local waterways. Do you still meet up weekdays down at Appletree Bay – is it OK to join you occasionally, if so what days & times is it usually on. Hope to catch up sometime ?